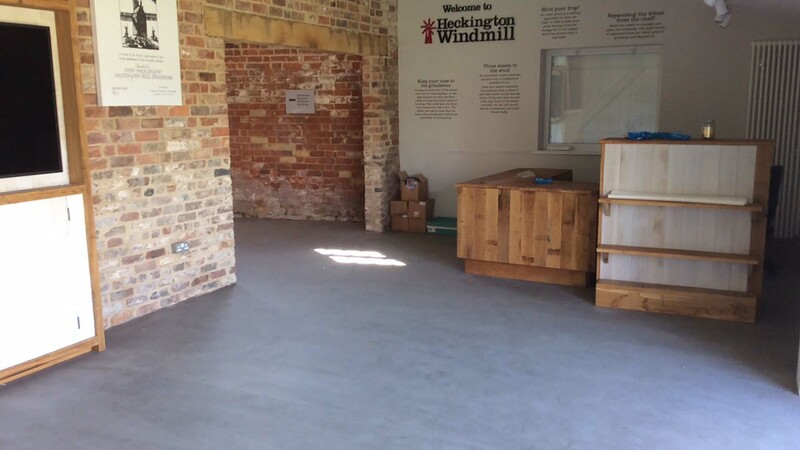 Built in 1830, and now owned by Lincolnshire County Council, the 6-storey working Mill is managed and operated by Heckington Windmill Trust who purchased the buildings and land surrounding the windmill with the help of a Heritage Lottery Fund grant. 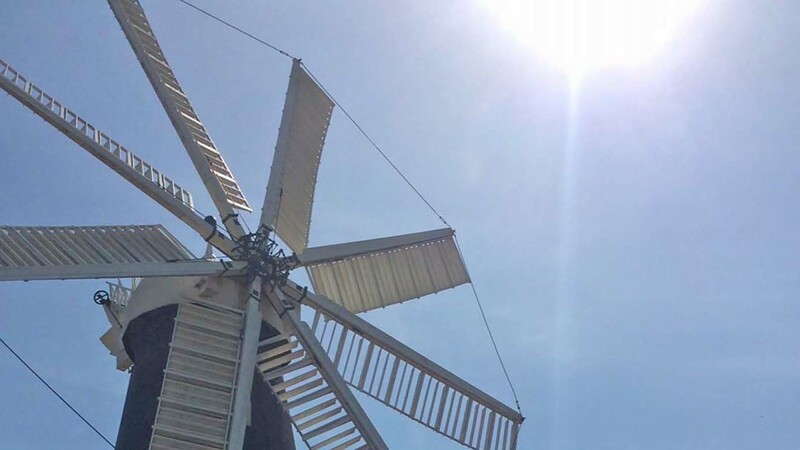 The Lottery grant, combined with generous contributions from other grant providers and well-wishers, have enabled the Trust to regenerate the dilapidated buildings surrounding the Mill – the Miller’s House, the Granary, the Saw Mill, Bakehouse, Piggeries and Cart Shed. Weber specified weberfloor 4610 industry top, a UK manufactured industrial floor screed compliant with BS8204. It is a pumpable, rapid hardening and self-smoothing floor screed for use as a surface layer on industrial flooring with a compressive strength C35 and flexural strength F10. It is especially suitable where renovation time is limited and is ready for foot traffic 2-4 hours after application. weberfloor 4610 industry top is designed for normal traffic loading without any finish but may be coated with a suitable resin. It is ideal for use on both new floors and renovation projects for levelling and smoothing floors subject to heavy traffic and abrasion. A damp proof course was initially installed using weberfloor DPM. This is a highly moisture tolerant, epoxy resin damp proof system especially designed to bond to concrete surfaces when the concrete is still drying out and containing a high degree of moisture. 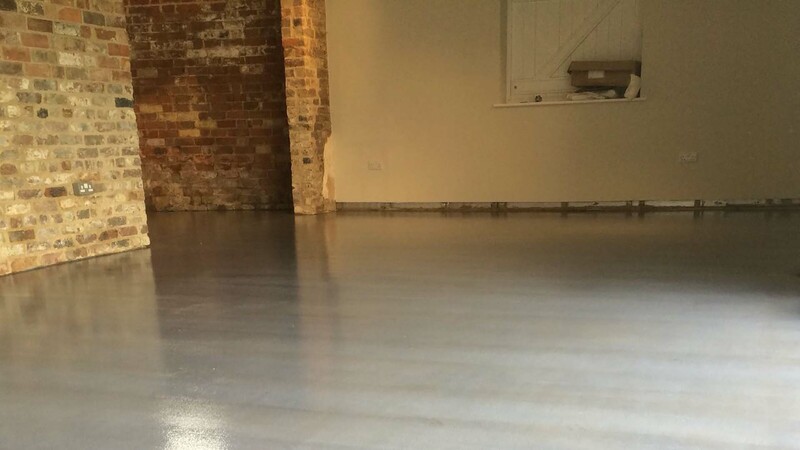 This two-coat system is easy to apply, reduces project timescales, allowing early install of floor finishes. It can also be used down to 5°C, allowing work to continue during winter, and is resistant to a wide range of chemicals. Weber recommends that weberfloor 4716 primer is designed for pre-treating all substrates prior to application of weberfloor products. It regulates the porosity of the substrate, improving adhesion and reducing pinholes in the levelling layer, and is applied to the substrate using a brush.